In celebration of the ratification of the suffrage amendment (also known as the Anthony Amendment in honor of Susan B. Anthony) on August 18, 1920, Feminists for Life of America is pleased to announce the 2020 Vision Campaign. 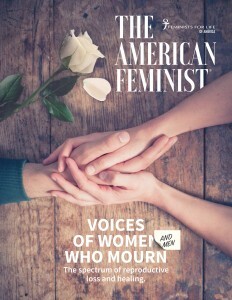 As we look toward the 2020 Centennial Celebration of the 19th Amendment, which guaranteed adult American women the right to vote, Feminists for Life is accelerating our efforts to educate others about our rich pro-life feminist history and address the feminization of poverty for those at highest risk of abortion. ● Lack of paternal support. I also believe there is a poverty of spirit since the Roe v. Wade experiment on women began costing the lives of millions of unborn children and hundreds of teens and women — many of whom didn’t want to inconvenience US with their pregnancies. Leading up to the Centennial Celebration, FFL has exciting plans to ramp up our revolution to realize the unfulfilled vision of Susan B. Anthony to address the root causes that drive women to abortion by 2020. Our new campaign logo is inspired by Susan B. Anthony’s glasses and the suffrage colors gold, purple, and white. Through her eyes, you will see in black and white a vision of where we are, while the lens in color will express where we can and should be. Women deserve better. Look for us to change out the lenses as we move from topic to topic. Leveraging the 2020 Centennial Celebration, look for Feminists for Life to announce major initiatives in the weeks, months, and years to come. Together, we can and will advocate better resources and better choices for the most vulnerable among us. Please, support our efforts to realize the unfulfilled vision! And mark your calendar for August 26, for our next BIG announcement! Thank you. An important part of our 2020 Vision is to pressure the US Treasury to get our feminist foremothers onto the $10 in time for the Centennial Celebration. Learn more and sign here!